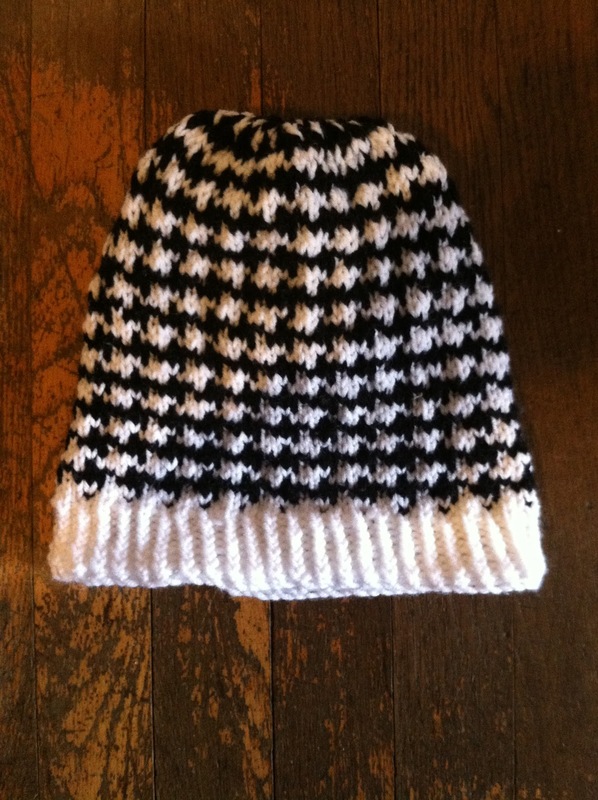 I found this free Chess Play Hat pattern on Ravelry. 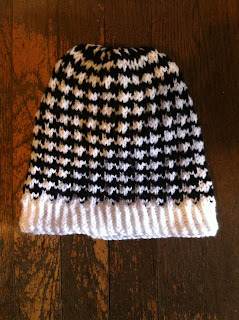 I used Red Heart worsted weight yarn. I think the top of the hat came out a little weird. If I were to make this again I would decrease differently.